Discover the latest wireless energy news as curated by the Pong Team. 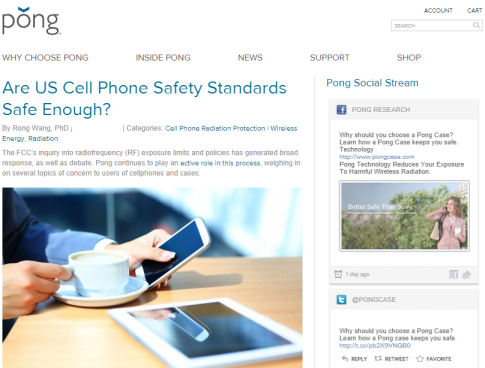 Whether it’s the hot, new report about where not to carry your smartphone, or the latest update about our cases, the Pong Blog is the place to find it. Our team scourers the web to find news about wireless energy and puts it all in one place. What’s more, you’ll find links to current Pong promotions and giveaways. Stop in, read an article, share with friend or leave a comment. From New York City to the red carpets of Hollywood, to Europe and beyond, Pong cases are making the scene. Not just a protective case, Pong has become a fashion statement for the thoughtful. If you look close, Pong is turning up everywhere in our technology-centric lives. 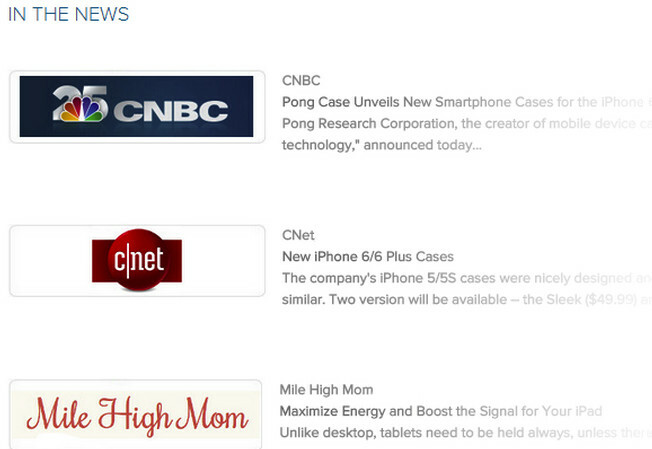 What’s more, Pong cellphone cases are protecting some notable people that may be on your radar. 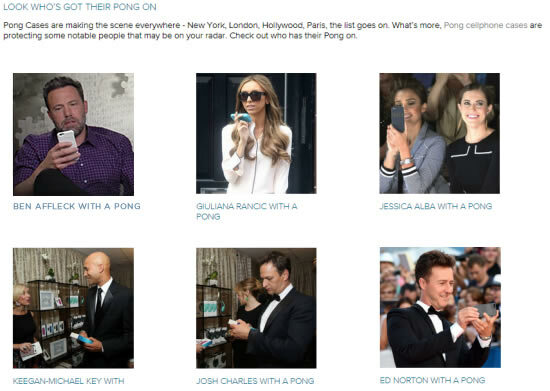 Head over to Who Has Pong page and check out who has their Pong on. Every day somebody somewhere is talking about Pong. Visit our In The News section for the latest Pong coverage by News Agencies, top shows like Dr Oz, and respected sites such as CNet.com. Plus, check out the most recent releases from Pong on our Press Releases page. And, if you’d like to help spread the word about Pong, drop by our Media page for a press kit, images and other media tools.